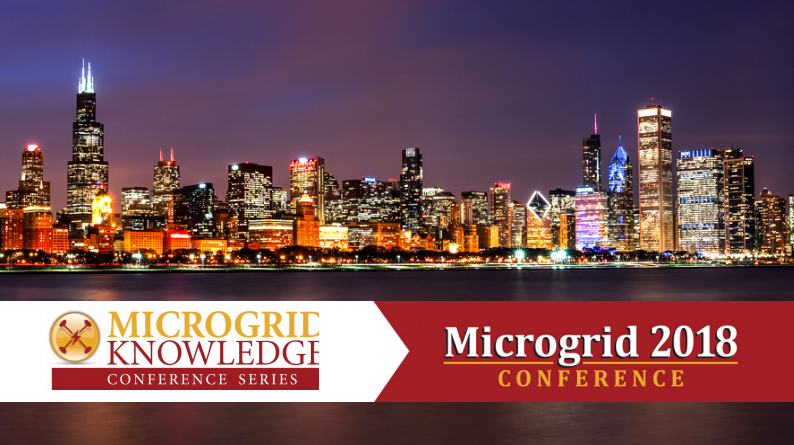 At Microgrid 2018 in Chicago in May, leaders from the National Renewable Energy Laboratory (NREL) shared their latest research on microgrids and their costs and resiliency. Jeffrey Cook, NREL renewable energy policy and market analyst, explained how to build a policy framework for resilient microgrids in today’s climate. This research was associated with a technical assistance request from a southeastern state that is focused on resilience planning and prioritization for certain critical infrastructure in the state, and was funded by the Department of Energy Solar Technology Office and the Solar Technical Assistance Team (STAT) Network. Hurricane Maria left all 3.4 million residents of Puerto Rico without power, and 35 percent of the island was without power a full 90 days after landfall. Hospitals struggled to provide services, even with backup diesel generators. These and other natural disasters have exposed vulnerabilities in critical infrastructure operation amidst grid outages. Microgrids can be used to extend the operation of critical infrastructure at these times of crisis. Policymakers may be interested in understanding how renewable-based microgrids can be used to support critical infrastructure, Cook said. NREL conducted a literature review and relied on interviews with 22 subject matter experts nationwide to identify policies that directly support the resilient microgrid market. This analysis identified 27 policies across 12 states. Francisco Flores-Espino, an NREL energy analyst, offered a U.S. microgrid cost and cost projection model. The study was used to find the variables that have the most significant impact on costs and potential areas for cost reduction in microgrid development. Phase one of the research relied on cost by category of more than 80 projects, and also includes surveys. Navigant Research is partnering with NREL for this project and research. Sectors covered include utility, campus, commercial, community. 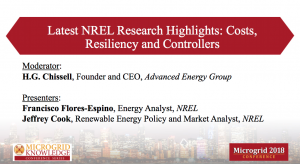 Download the full presentation from Microgrid 2018 to stay up to speed on the latest microgrid research from NREL and what it means for the microgrid industry.